Creative people are usually passionate people. Passionate people are usually opinionated people. So, it’s no wonder that creative people are opinionated. And when it comes to tracing or transferring images, every artist has an opinion on whether or not it’s appropriate to do so. Some are very passionate and vocal about their feelings. Some feel that it’s actually “cheating” to transfer or trace contour lines onto a canvas or a drawing surface. But is it? 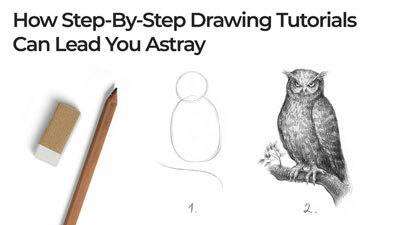 Tracing or transferring images has been a technique used by artists throughout the years to save time and ensure accuracy in representational art. 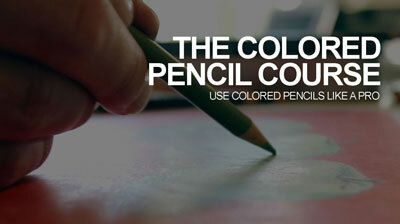 It is used by more artists than you may realize. Are all of these artists “cheaters”? Is It Cheating To Trace? Let’s first examine the opinion of those in the “cheating” camp. Why is it that these folks believe that tracing is cheating? 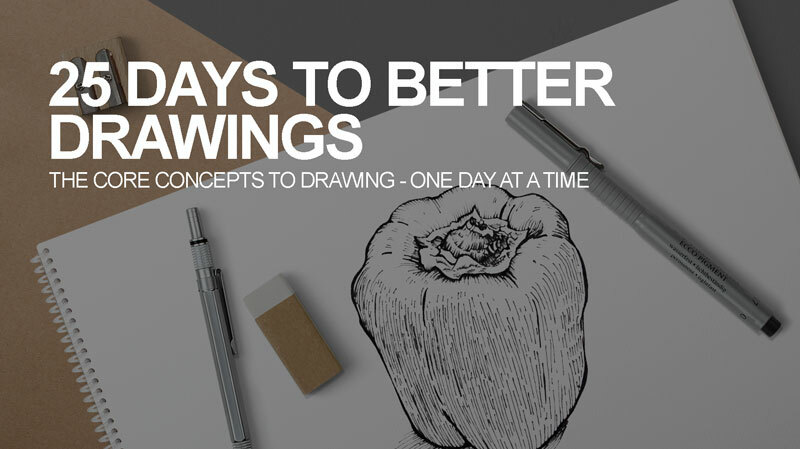 Argument #1 – Learning to draw requires the refinement of observation skills. We learn to see as artists and make marks to reflect what we observe. This process requires practice and trial and error. As we practice, the accuracy of the marks that we make improve and our drawings become more precise. Drawing gradually becomes intuitive. When the artist traces the subject, this process of improving is hindered. Tracing does not directly improve our observational drawing skills. Tracing is not the path the artist should take if improving drawing skills is the desired result. Argument #2 – When you learn to draw, you learn to observe and translate what you observe into lines, shapes, values, textures, etc. When the artist traces, the translation of the lines are not made by the artist. Instead, they are simply transferred to a surface. Because the artist did not translate the observed contour lines, some believe that this is cheating. If the artist does not translate the subject completely, then the work must somehow not be completely the artist’s interpretation of the subject. These are valid arguments and it’s clear that tracing should not be the regular practice of an artist that is just learning to draw. As I mentioned before, many artists throughout history have used some form of tracing to create works. Many artists today also use tracing as part of the process of creating – more than you may realize. Clearly, these artists do not feel that it’s cheating to trace. So, when might tracing be appropriate? For many artists, the product of the finished work of art is most important. The quality of the work outweighs the process. Patrons, art directors, etc. often don’t mind what process the artist uses to arrive at a successful piece. If tracing is a part of that process, then so be it. Speed also plays a role. Most professional artists need to produce art quickly. For commercial artists, time is money. And if art is your business, then making money from it is clearly important. Any tools or processes that save time, without sacrificing the product, are utilized. Tracing saves time. 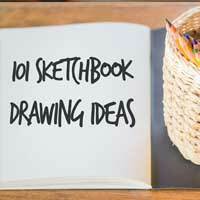 If the artist is a professional, then drawing skills are likely already developed. If the artist wanted to draw the contours accurately, they could do so. But this would slow the process and not affect the finished result. Therefore, tracing becomes a tool of the professional artist. And it does not make sense not to use a tool that saves time. Those that feel that tracing is cheating sometimes do not fully understand the full process of drawing and painting. They may feel that if the contour lines are traced, then “the hard part” of the drawing process has been completed. Tracing may be used to establish the contours, but the task of completing the work is far from over. Skill is required to complete the piece. The “hard part” of completing the work is still ahead of the artist, even if some form of tracing has been used. 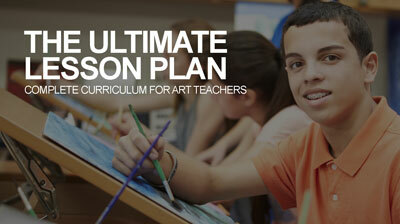 Let’s assume that an artist lays out the subject on canvas in preparation for finishing with acrylic paints. The artist uses a graphite transfer to do so – a method of tracing. While the contour lines may be established through tracing, the work still must be finished through skillful application of paint. 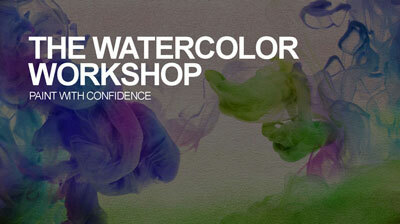 The artist must be knowledgeable of light and shadow, texture, form, color mixing, and application of the medium. Tracing does not aid with any of these aspects. If the artist is not skillful, it will be painfully obvious in the final work. 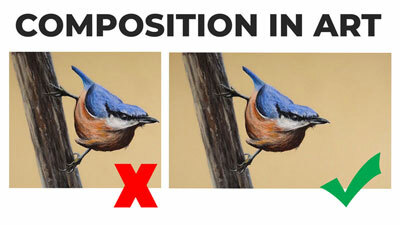 This applies to any medium that the artist may use to complete their work. 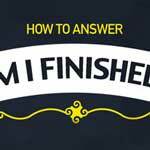 Every medium requires a level of skill to finish. It is never a process of simply “coloring” a traced outline. 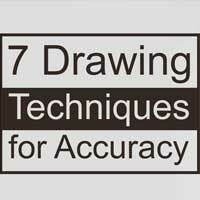 Most artists that use or have used some form of tracing are clearly representational artists. For most, the accuracy of the subject is important. Portrait artists, working on a commissioned piece, must be sure that the work looks like the subject. And while tracing does not guarantee that it will, it certainly helps in the beginning stages of the work. Is It Right For You To Trace? So then, what should you do? Should you trace the contours of your subject or should you be “pure” about it and avoid using this controversial tool? I think that it ultimately depends on where you are in your artistic development and how you view the process of creating. If you are still developing your drawing skills, it is my opinion that you should avoid tracing. Focus on pure drawing from observation. 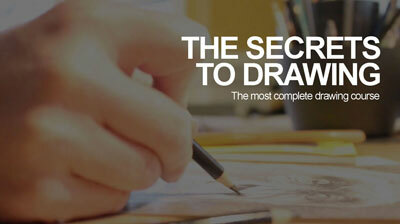 Draw from life as much as possible. 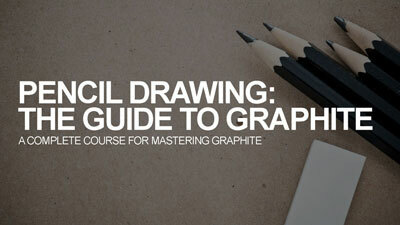 Once your drawing skills have developed, then tracing can become a tool that saves time. One that you do not have to use. If you have developed your drawing skills and have the ability to draw the subject accurately, then tracing ultimately doesn’t affect the resulting work. Be cautious that tracing does not become a “crutch”. 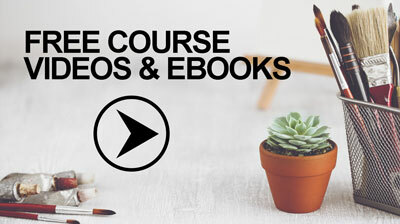 Reserve it for subjects that require the upmost accuracy. And even if tracing does become a tool in your artistic toolbox, your drawing skills should be practiced and honed continually. 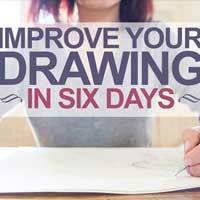 Drawing is fundamental and you should be studious about continuing your development, no matter what your current skill level may be. If you view the act of creating to be more about the process, then you are likely to believe that tracing is some form of cheating. However, if the product outweighs the process in your mind, then you’re likely to view tracing as an acceptable part of the process. So your perspective and feelings about art will influence what you personally believe. the amount of redrawing I need to do after the trace is quite sizeable—–I wind up redrawing a good portion of the contour lines. The projector trace allows me to get to the shading so much faster. i trace to get the images done faster then redraw it to make it fine and smooth and then do the shading. though people call that and grid cheating are those who cant trace at all. I was a commercial artist for thirty years. Today I am retired and enjoy watercolor. I often trace, but not always. I agree that for the sake of time tracing is acceptable, however, I enjoy the process of drawing as well as painting. I don’t think it’ “cheating”. If your kills are inferior it really won’t improve the painting’s outcome that much, anyway. It’s an insult to past famous and present artists who have/do implement this. To call them, “inferior, and it really won’t improve the painting’s outcome that much, anyway,” you might as well slap them in the face. That shows a lack of compassion and encouragement to the greats, beginners, and children who want to explore Art. You’ve set them up for failure before they even get a chance to believe in themselves. I think you may have misunderstood her. I read it as if your skills plural meaning even if you trace you won’t be much good at the rest of the piece including shading, paint etc. Resulting in the finished piece not being good. I don’t think she meant if you trace give up she even saidshe uses it sometimes herself. I could be wrong but that’s how it came across to me. This is a good article, I think I was in the mind set of tracing is cheating, I am a student artist studying Matts courses so I wouldn’t because as he says I’m still a developing artist but it’s interesting all the same, I’ve also read somewhere that some even think the grid method is cheating but I don’t having used it for the 1st time on a drawing I did for my friend of her two dogs,she asked me to do it and she took a photo and sent me it. Because of accuracy which is important because I knew she would want it exactly I decided to use it for 1st time and I thought it was brilliant because in the past I’ve had trouble with the initial layout and sizing. I saw this method in one is my lessons on secrets to drawing on here and gave it a go and I don’t think it’s cheating because outlines, your contour lines are very much the beginning and to look at these you can clearly see that yes they are important as say like our building blocks, the skill is the shapes,values,textures,contrast etc are all that make the artwork truly artwork. Plus as a beginner at the start it helped me break it down into sizeable chunks that were not too overwhelming which is very important as sometimes you look at your reference and it looks a bit scary. I too think this is a very good topic & I had also wondered the same thing. I have used a light box or my computer to trace the “outline” of a couple of images that I have incorporated into art. One of my grandson which depicts his true inner essence, something I would never have achieved if I hadn’t. I use this technique at the beginning of a piece as a “guideline” and the finished product changes & evolves from there. I have not studied an art course, but I DO live my life with the strong internal urges to create things/paint things. Is it “acceptable” for an artist to use a pot lid or a compass to create a circle? Or is that cheating too? They are all tools. My opinion is create whatever your heart desires, no matter how youve achieved it, because it makes you happy & coz lifes too short to be worrying about little things like this. Here’s a picture of an elephant I created using the tracing technique. And my grandson whose nickname is Buddha. I traced a Buddha image, I traced my grandson’s image & created a synergy of both. I agree with you,if it makes you happy,do it. I too was under the impression that tracing was cheating,and I think it was because I was concerned about what others would think,which isn’t being true to myself.When I was child I learned to draw birds by tracing them from a book,over and over, now I can draw them,straight out of my head. So I’m not sure I agree that tracing for beginners is a bad thing. Jessica, you go for it. Good for you. I find it easier to trace/outline the person that I am going to draw. I have a difficult time with proportion, so this saves me time and hair pulling. After I have the outline traced, I erase the border and start my drawing. I’ve received many compliments on my art and no one knows the difference. I look to make quality work and some facial features are difficult for me to get accurate. The nose, especially. yeah right,tracing is just a tool… as you develop your drawing skill then tracing could be less valuable except in some delicate subject.. what i do is i draw lines then put in on screen and see if it placed correctly then if not i removed it from the screen and draw again and repeat the process not literally tracing.. I think tracing is just another tool to use and helps get to the painting process quicker if time is an issue. I’ve used both tracing and free hand methods. Personally, I do feel more satisfied with the paintings that weren’t traced, just as I feel better about using photo references I’ve taken myself rather than another photo source. As I newbie to the art world, I use the grid method. Is that cheating also? I don’t think so. It is very time consuming but it helps with proportional accuracy. I traced a house once for a water color & by the time the painting was complete any thoughts of cheating were long gone. But still, I am reluctant to do it. If you only trace the face and body then edit it to your design is it really bad?? I work in a n art studio and it is absolutely atrocious how much tracing i see my co workers doing! One of my so called best friend Oscar Jenkins is the biggest abuser of art tracing. He will take credit for photos that aren’t even his and trace photos right onto photoshop! This astounds me that his moral levels are so low that he would even consider tracing other people’s artwork. What’s more he earns money in art galleries and exhibitions when the artwork isn’t even his. One time he even stole some work from me!- In conclusion is it not ok to trace artwork! Did you ever told him that? Talking about moral and then dropping real names haha. Also if everyone is doing it maybe you are the problem. Real artists are born with the talent. Usually it’s genetic. 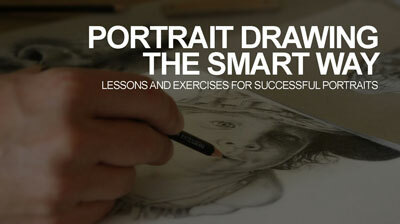 It’s not something you can learn by tracing, college, art classes, or group paint events. It’s in your DNA. It will be there the day you’re born and if you haven’t bern able to draw a hand until your adult years, you will never be a real artist. Tracing is absolutely cheating, because it fakes artistic talent. There is something pure and impervious to challenge to those with the gift. They know how to picture something in their minds and create it with their hands. It cannot be taught, because 80% of it happens in the controlling part of the brain you’re born with. This is going to be an unpopular post, no doubt. Because the majority just don’t have it. They want to and try to, but there will always be something missing. Those that know that there’s a difference between a permanent and effortless creative brain and a forced and flawed attempt, back me up. I mean yes, artists need to have some talent, too, but most of it is effort and practice. I’m very good at digital painting. I can say that. But I’m absolutely terrible at proportions. I can’t draw correct proportions of a person from a reference image. I’ve been trying to get better at it, but I’m not improving. I’m good at it when it comes to traditional art, I can draw a sketch with correct proportions, but when it comes to digital art I just can’t. But I’m very good at painting, and I genuinely enjoy it. I put so much effort in it – in painting the person, choosing colors, painting background, details, etc. I spend over 48 hours on it, and now you’re telling me my painting is not valid and not good just because I traced the outlines? Just to clarify, I don’t trace other people’s artworks and photographs. That’s just wrong. No, they ae not? Both of those arguments are incorrect and most likely donebby people who haven’t traced themselves and haven’t noticed that they are also learning to observe by tracing and studying the object you draw. I trace because I have a vision condition called Strabismus. I don’t have normal binocular/3D vision. I can draw anything in front of me, because I learned techniques to do so. However, I like to draw comic book and sci-fi style images from my imagination. Due to my vision issues, I have a real hard time getting proportions right. I use a 3D art program to set up models and props. I can render it, trace the contours of the bodies, then draw in the details manually. I admire and appreciate artist who can draw manually. However, there are many forms of art and many ways for people to express themselves creatively. I think people should judge the final outcome, not the process. BTW, I am just a hobbyist and not a professional artist. Say I decide to draw a horse in a field. How much artistic skills do you need to draw the horse hoof. Must I document (or not) the history of horse hooves whenyou can’t scantily even see the horse, You know nothing about the feet of a horse. Do you pitch the whole painting and restrict your creation to only subjects that don’t involve horses and each step of blossom in that field? I don’t mind use of tracing paper if it isn’t the primary part of the work. If eliminating the tulips in the south 40 acres ruins the painting I would question claim to fame, or go study tulips and horses. I believe that the most important issue is did I get to know my subject enough to accomplish what I intended, communication with the viewer. Are you trying express as much to viewer as possible, to help reviewer feel what I felt when I was creating. But then if I didn’t capture an audience Iwithout the tracing paper or someone else’s work, best start over with a good composition. What I don’t like about the tracers is the pretense, in particular the Renaissance artists who deceived us for centuries until Hockney exposed them. Before the Renaissance, artists were considered no different from tradesmen, working-class labor with no real knowledge or intellect. Images in the Byzantine era were very flat, one-dimensional with no real artistic talent involved from a mental standpoint. The main talent was enduring long hours, securing tiny bits of glass or colored ceramic pieces onto a a surface. Most of those pre-Renaissance artists were anonymous because what they did was manual labor, not high art of any kind. Along came the magnificent paintings of the Renaissance with perspective, depth, overlapping figures and incredible photo-realistic paintings. The artist was suddenly elevated on the pedestal of inspired genius. But now history has exposed them for the cheaters they are. The camera obscura was just that-a camera-and the skills required were probably more manual labor that high inellect. So the artist was unduly elevated to a status he did not deserve. Did they ALL do it? Yes, and they even traced with brushes over lens-projected color, light and shade within the painting, just like tracers do today, but that is a discussion beyond the scope of this post for now. So if you are tracing, you are elevating yourself undeservedly, and-rest assured-history will find you too and expose you for the fraud you are. If tracing is helping you to learn,and your having fun,I don’t see what the problem is.How many da Vinci’s do you think there are in the 21 st century? History has found and exposed tracers on Deviant Art. History has found and exposed James Cameron, director of Titanic who was sued by artists for tracing their work on his movie set. History has found and exposed comic book artists who traced entire pages and panels without attribution to the real artists. If you are tracing, you are tracing from someone’s work or you run the risk of doing so. Therefore, you are violating copyright law and plagiarizing without attribution, not to mention it’s just plain deceptive like the Renaissance artists who fooled us for so long. Moreover, it it harms people who have developed the talent, precision and speed to draw not only without reference, but without tracing. These artists can be found in fine arts and in the get-it-done-yesterday world of commercial art. If you post traced art on the Internet, on your movie set, in your comic book or anywhere before the eyes of the public, you are plagiarizing and violating copyright law. And you are diminishing process and even talent as a factor in making art. You are pretending to be an artist when in reality, you are but a tradesman, much like pretenders in the Renaissance. The Internet is littered with forums like this asking this very question about tracing, and I guarantee you the folks who don’t trace are not the ones who initiate these forums because they have no need for the mea culpas being made here by artists who feel guilty because they know it’s wrong. Well, guess what. It’s also illegal, it’s plagiarizing and it’s deceptive. Good luck to all you tracers who find it hilarious or see no problem with it. Just know that history will find you and expose you for the frauds you are. I never mentioned DaVinci. The problem with tracing, Lisa, is that it does not help you to learn. 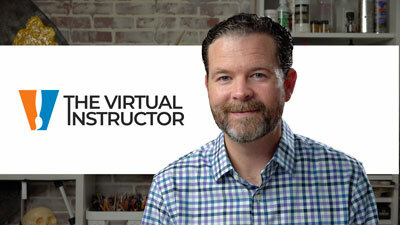 You are bypassing the learning process. You are taking a shortcut that omits learning how to make shapes, to draw figures, overlap objects and draw your lines for one or two-point-even three- perspective. You learn none of this by tracing and are using another’s work on shapes, figures, etc.Looking at a picture while drawing without tracing(freehand), is much better because that is putting yourself-your freehand-into the work, which means you created it. You still have to draw the perspective lines and other art work while doing so. I have been drawing every day for 22 years, and I work hard each day to keep my skills for fear they will fade. It is disappointing to see so many embrace the fine art of tracing. It’s a competitive world. I am left wondering why do I even need to keep in practice, if the next artist only needs to find a good picture and trace it? Andrea, when I say “history will find you,” I ask you re-think the phrase in broader terms, as an artist should. History has already found out many tracers such as James Cameron’s own drawings he used on his movie set, even some Deviant art tracers were banned on suspicion of stealing copyrighted art, which is another issue that can surface with tracing. All in all, in my humble opinion, tracing is corrosive to the artist and the art community. Thank you both for your interest in my comment. 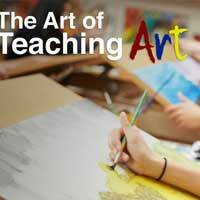 You may be bypassing portions of the learning process, but there is a lot of little things to learn in the creation of an art piece. So you miss out on practice of recreating lines from visual observation. 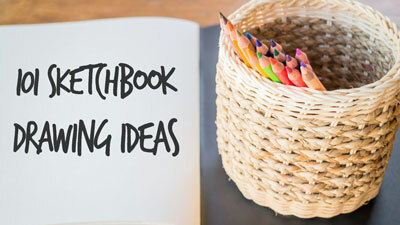 You can still practice your strokes, hand-eye coordination (that pencil doesn’t follow the lines by itself) and can allow you to get past the outline portion of the effort so that you can focus on other skills, such as painting or shading. And the tracing may be of a photo you took personally or there could be a thousand other conditions that don’t make tracing plagiarism. Frankly, tracing is not fair for all the other real artists who draw and paint free hand. I went onto researching if it is a feaud to trace because İ’ve been seeing way too many people use the carbon trace method. I’ve stopped participating in exhibitions because I no longer wish to display my art next to a traced art. I spend hours, weeks, even months to paint my work all from my own ability handed to my from birth, only to compete with people who can’t draw a stick figure yet learns to mix a few colors and uses it on their traced art. Why don’t they just buy a coloring book? I find it insulting!!! I’ve been an illustrator my entire life, I use my heart, soul and really my vision to create my work then comes a person who just loves paintings but have no skills to draw it, decides to trace it then call him/her self an artist? No!!!! That is not art by any means!!! İt is cheating! İt is not fair! And it’s dishonest. İf you are tracing, then do it for yourself for your home but stay the hell out of exhibitions!!! 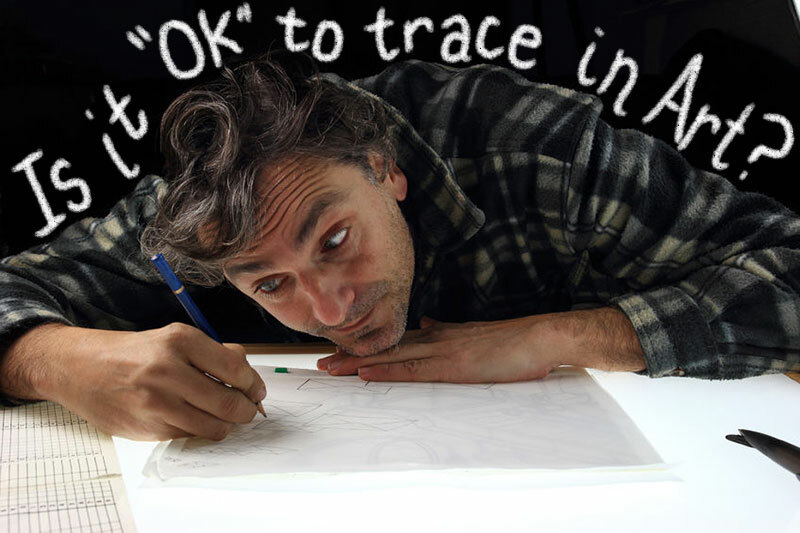 Today I googled the term “Is it ok to trace your art?” today. NEVER expected such a response on line! ( I guess I am that old, sorry, I will be 69 in a couple of days.) Any way, I have been RACKED with guilt about tracing on my large computer screen a couple of still life photo shots I made in my home over the last few weeks. One shot was totally organic as I was cutting Meyer lemons on my kitchen counter. The light, the color, the texture was so beautiful, I took out my cell phone and made a few photos for a future painting. Later I cropped the best picture for the perfect aspect ratio and design. As I was starting to sketch the photo I saw that the dynamic perspective that drew me to the scene was NOT something I would be able to pull off, at least not in a reasonable amount of time. I also have a visual disability that makes it hard for me to visually judge distance and volume. (I keep a WIDE space between my car and the one ahead of me) After a while, I decided to “window” the photo on my large computer screen using glassine to trace just the outline of the major shapes. I transferred the image on to the pastel painting paper by using a carbon paper I made by rubbing vine charcoal over another piece of paper. Given the amount of computer generated “ART” today, I think that a few short cuts on drawing skills can be acceptable. I don’t even have room to do a full perspective study of the photos I create in order to them justice! I do think I have a good eye for composition and design that my photos will show. My drawing style is very organic, not suited for perspective circles and squares. 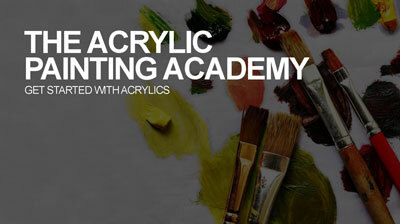 I also have painting, texture and color value skills that contribute to the authenticity of my work. I usually work in landscapes, and as organic shapes, I would never trace them from my own photos. I suppose my still life paintings made from traced outlines would disqualify me from juried shows, so fine. I enjoy the painting and making it my own interpretation of the photo I took. I would NEVER EVER take someone else’s photo to make any sort of painting outside of a workshop or class where I am learning a new skill or technique. So I am asking this community for: permission; forgiveness; and/or berating for the sin of copying an image I created from my own photo composition. Mea Coupa. Comments welcome!! Well, I think a good analogy can be drawn (pun intended) from literature here. Both art and literature convey information, albeit in different ways. Let’s say that I, as a professional author, spend five years researching and writing a book. Now imagine someone coming along who’s new to writing and wants to become an author. By the line of reasoning being applied by those who think it’s acceptable to just copy and trace, a “technique” as they term it requiring no skill whatsoever (in literature or art)…. Does the copying of my book word for word, or “writing it” as I’m sure they would rather put it, producing an exact copy of the book in a week help them to write better in the future or aquire a clearer understanding of the art of writing in the present than if they practiced creating their own writing style and presentation of content in their own words? What have they really accomplished by merely reproducing the book (or work of art, photograph, etc)? Shall they then, viewing their now completed precise reproduction of the “reference book” written by me (with or without my permission, it doesn’t matter), a recognized professional author of many years, call it “the first book I ever wrote”, refering to themselves henceforth as a “writer and author” as they continue to “broaden their horizons and sharpen their writing skills” by copying other books? It’s just preposterous to think this approach to art (or writing) is anything more than a fraudulent and flawed foundational methodology, one where tracing, or “outlining” as they like to refer to it, and the loose “paint by numbers” sort of color matching that goes into it lacks any recognizable stylistic or representational touch of the true artist whose creation is from start to finish the product of years of practice and experience.